Bretton Woods is pleased to offer Resort Partner Passes that extend skiing and riding privilege to neighboring ski areas in New Hampshire's White Mountains. Questions? 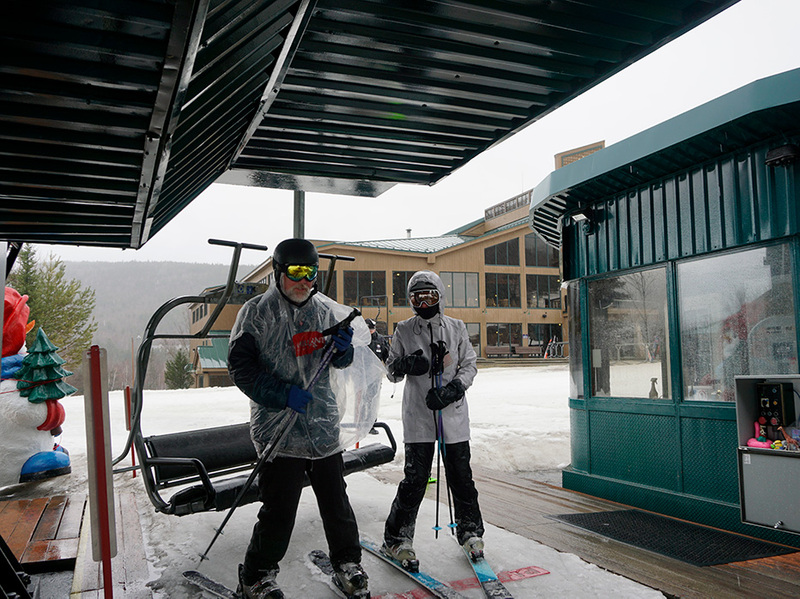 Please fee free to stop by or call the Bretton Woods Season Pass Office at (603) 278-3306. Bretton Woods is pleased to offer Resort Partner Passes that extend skiing and riding privileges to neighboring ski areas in New Hampshire’s White Mountains. Please note: You must pick up your Resort Partner Pass from the resort from which it was purchased. Purchase ANY 2019/2010 Bretton Woods Season Pass between now and April 15, 2019, and and you can start using your new pass to ski or ride for the remainder of the 2018/2019 season on days when your pass is valid! Pass renewals get a free ticket to share with a friend! The White Mountain Superpass offers unlimited skiing and riding at Bretton Woods, Cannon, Cranmore and Waterville Valley! That’s 309 trails and glades, 40 lifts, 1,185 acres, 6,900 vertical feet and NO BLACKOUT DATES, making it the season pass with the most skiing in New Hampshire. The College Superpass offers unlimited skiing and riding at Bretton Woods, Cannon, Cranmore and Waterville Valley! That’s 309 trails and glades, 40 lifts, 1,185 acres, 6,900 vertical feet and NO BLACKOUT DATES making it the season pass with the most skiing in New Hampshire. Students must present an actual copy of their schedule that shows a minimum of 9 credits AND must show valid College ID. All items must be presented at the time of PASS PICKUP to qualify for College Pass. No Exceptions. Preferred Parking (First Come, First Served Basis/Weekends + Holidays). Save $15 on an Adult Full Day All Mountain Lift Ticket (Limit 1 Per Day). Season-long alpine skiing / riding at Bretton Woods and Cannon Mountain Monday-Friday, non-holiday, during regular daytime operating hours. Season-long alpine skiing / riding at Bretton Woods and Cranmore Mountain Sunday-Friday, non-holiday, during regular daytime operating hours. 10% off at all resort retail outlets, on high-performance equipment rentals and services in the Repair Shop. 20% off full-price Canopy Tours, West Wall Climbs, Ranger Rides & guided Fly Fishing, reservations required. 20% off public green fee rate, Mon-Thursday and after 2pm, Friday - Sunday, tee time required. Adult pays half-price the month of July when accompanying a Jr. Pass holder on the Mount Pleasant course, tee time required. One free scenic lift ride per day during the Summer 2019 season. Ticket is valid for passholder only. Add Summer Bike Access for just $55! Learn More! You must be present and show your valid 2019/20 pass to receive any pass benefit. Limit one lift ticket per pass, per day. You must pick up your Resort Partner Pass from the resort from which it was purchased. *Pass benefits and discounts are for 2019/20 winter season and may not be combined with other special offers or discounts. **Child pass purchases (ages 4 & under) must be accompanied by at least one Adult, Teen, Junior or Senior pass purchase. Bretton Woods passes are non-refundable and non-transferable. Passholder age is determined by how old the passholder will be on December 31st of the current year. Rates and information subject to change without notice.